Caption slip reads: "Photographer: Paegel. Date: 12-01. Reporter: Adler. Assignment: Dolls. Sunday of Monday. 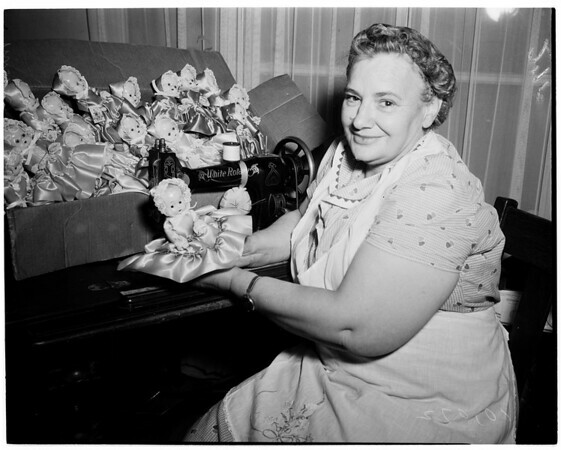 27-15-16: Mrs. Elizabeth Anderson with some of the 100 dolls she dressed for Crippled Children's Society of LA County for X-mas distribution."